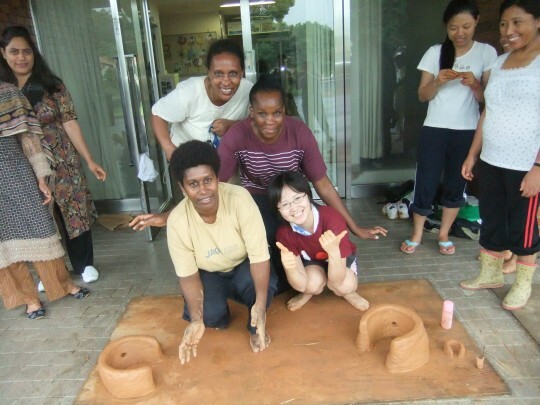 Yukiko and I run a workshop on kiko stove making for 16 participants from 13 countries from Asia, pacific, Africa at OISCA shikoku training center, Japan on Monday 18th July. Participants are interested in the stove, some participants from countries like pakistan, sri lanka, Tibet and others have similar stove but this is their first time to see how a clay stove is made. Some of the participants wants to try this in their country like PNG, Africa, tonga, and asian countries, which they think they can maybe modified it so that is adapted to their countries needs. 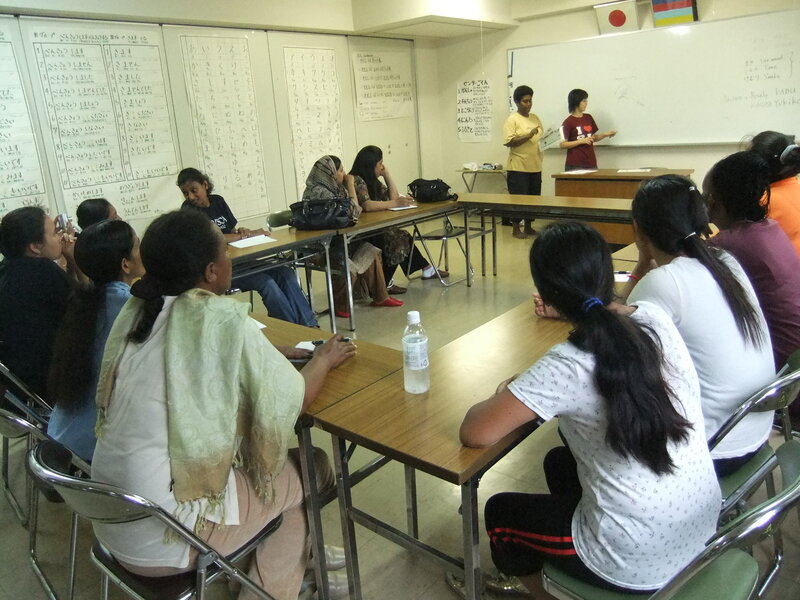 Thanks to Oisca Director Kakinuma for giving us the opportunity to teach other woman from other countries and also for Yukiko who have fly from Tokyo to Shikoku island for us to do the training. 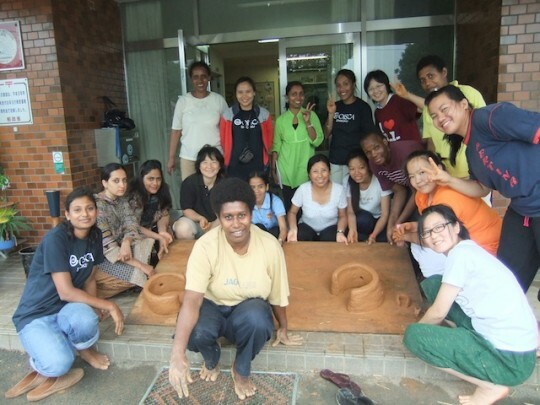 Participants moulding clay for the stove. its been such a long time, not time not responding. well, had a fire incident, where our office complex was gutted by fire last April – 2011 and so as our internet / email server so been out in cold for such a long while. Just recently got connected using digicel phone modem and could about and saw yours & clements comments online so decided to drop a few lines.